10-10, that’s Michigan’s record after 20 games. Before the season, even a Michigan State fan wouldn’t have predicted that. Anyone who follows the program is left with nothing to say but: What happened? This season is like a bad dream with each loss another twisted chapter of frustration. Some were expected, some are explainable, but then there are those unexplainable losses that serve as a hollow reminder of what could have been. Michigan is .500 after 20 games. We’re beyond the point of blaming sample sizes, luck, or shooting slumps for poor play — this team is what it is. At this point they need to win 6 of their final 10 games to finish over .500 with an NIT eligible record. That’s only two fewer wins than the 8-2 mark they would need to somehow squeak back onto the bubble at 18-12. There are certainly winnable games down the stretch. Michigan faces Iowa twice and plays home games versus Wisconsin, Penn State, Illinois, and Minnesota. Road trips to Northwestern, Minnesota, Ohio State, and Michigan State are obviously a little more difficult but Michigan did score two of their three conference road wins at Northwestern and Minnesota last year. At this point it’s tough to pencil any game into the win column for this Michigan team, given how thin team morale has worn over the year, even a home game versus one of the conference’s doormats. Iowa makes the trek to Crisler with an 8-13 (2-6 B10) record. They have been playing slightly better basketball of late. They knocked off Penn State at home, made a valiant comeback effort in East Lansing, blew out Indiana in Bloomington, and led Ohio State with 4:22 to play. Let’s not get ahead of ourselves, the Hawkeyes are still not a good team. They can shoot the ball relatively well with a shooting line of 50.4/51.2/33 but that’s about it. They turn the ball over on 23% of their possessions, rebound only 30.7% of their shots, and don’t get to the line (29.6% FTR); all of those numbers fall in the bottom 100 teams in Division 1 basketball. 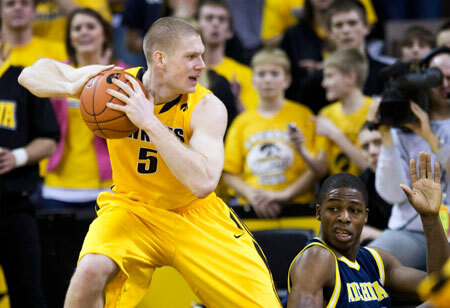 Defensively Iowa struggles as well. They give up a 51.3/51.2/34.3 shooting line (eFG/2pt/3pt) and only force turnovers on 18.6% of their opponents’ possessions. They do a great job of crashing the defensive glass (70.6% DR%) and keeping opponents off the line (28.3% FTR). Iowa’s motley crew of three point shooters is led by 6-foot-5 sophomore Matt Gatens (46.7/40.8/34.9) but freshmen Cully Payne (34.2% 3pt) and Eric May (27.3% 3pt) aren’t afraid to bomb away either. Devan Bawinkel (36.8% 3pt) is also never scared to let them fly, but don’t expect anything but a three point shot. Despite attempting 57 three point fieldgoals, the senior hasn’t attempted a 2 point shot and is 2 of 4 from the free throw stripe. Gatens is nursing a sprained ankle but expected to play while the Hawkeyes original starting guard Anthony Tucker is suspended (again) and will not play Saturday. Up front, Jarryd Cole (6’7″) and former Michigan recruit Aaron Fuller (6’6″) shoulder the load with occasional assistance from freshman Brennan Cougill (6’9″). The Hawkeyes frontline is strong enough on the defensive boards but they certainly aren’t game changers (both Cole and Fuller average around 8 points and 5 rebounds per game). You know what to expect when you face Iowa. They are going to slow the game down to a painful crawl and shoot a lot of threes. OK, maybe not. 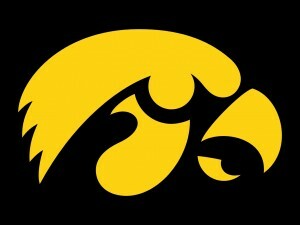 Yours truly is humbled to say that Iowa is averaging 64 possessions per game in conference play, two more than Michigan. The Hawkeyes do still love the three ball, shooting 44.7% of their shots from behind the arc in conference play, making 31% of them. Sims has played extremely well throughout conference play, evident by the fact that he’s leading the Big Ten in scoring (conf. games only). Michigan needs to look to Sims early, often, and for the entire 40 minutes. 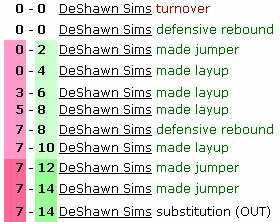 Beyond Sims, the key is stopping Iowa’s shooters. Michigan has done a great job defending the three this year which is good news. Iowa’s propensity for turning the ball over makes me expect Beilein to experiment with the 1-3-1 a bit to try to force Iowa into some stupid turnovers. On paper this is a game where Michigan should roll. Pomeroy gives Michigan an 89% chance at the win and predicts Michigan 66-55. I think that’s probably realistic but I’ll take Michigan 67-52. Predictions and in-game discussion belong in the comments. P.S. : Assistant coach Jerry Dunn is expected to rejoin the team on Sunday or Monday.